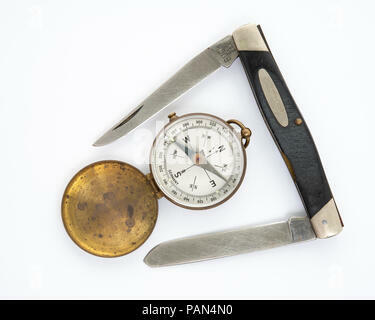 An old well worn Buck 313 Muskrat folding pocket knife with a Marble metal waterproof match case. 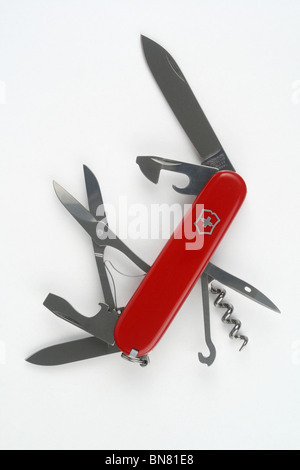 Victorinox swiss army knife. 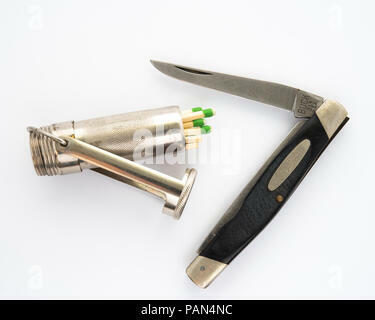 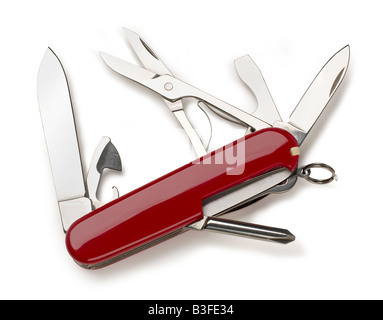 Genuine swiss army knives with scissors, magnifying glass, screwdriver and blades. 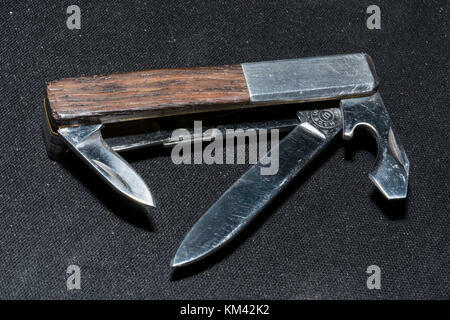 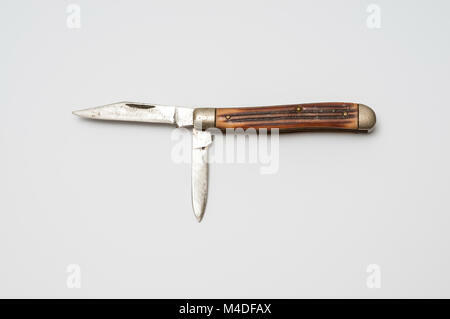 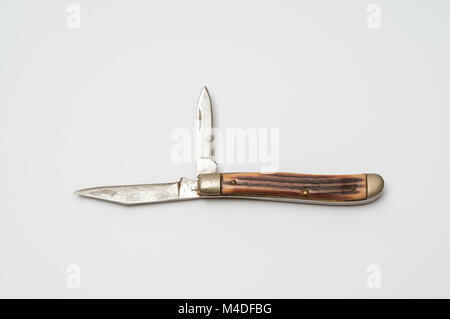 Small two-bladed bone handled folding pocket knife. 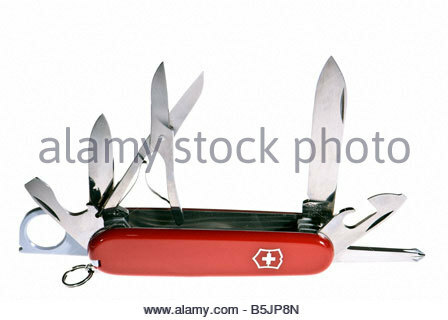 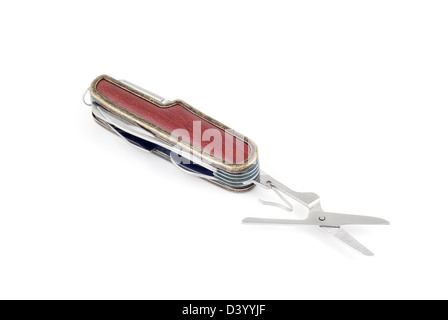 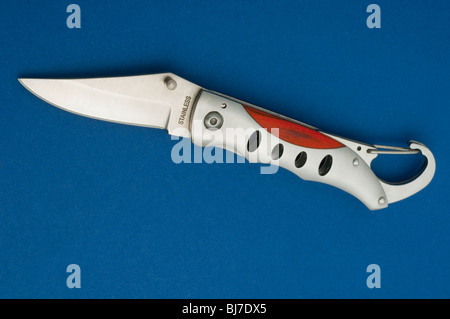 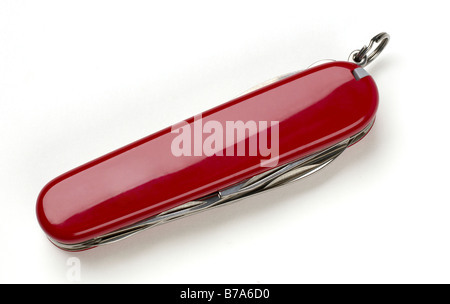 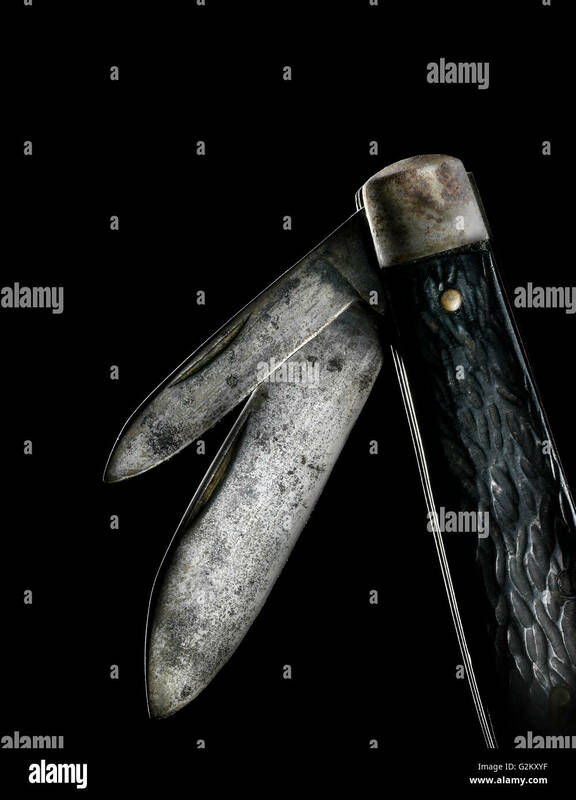 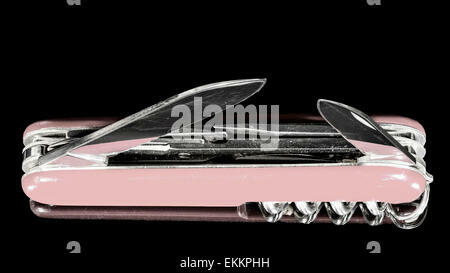 Red Swiss Victorinox Army Knife (Pocket Knife or Penknife) on White Background opened to show blades and tools.